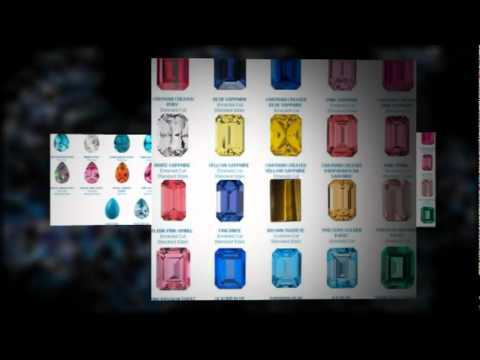 Cubic Zirconia & Synthetic Stones for Jewelry at Wholesale Factory Prices. Natural Gemstone cabochons beads are usually used for jewelry such as bracelets, rings and necklaces. A cabochon is a gemstone which has been shaped and polished as opposed to faceted. The resulting form is usually a convex top with a flat bottom. Cutting a cabochon is usually applied to opaque gems, while faceting is usually applied to transparent stone. Natural Gemstone cabochons beads come in all kinds of geometric and asymmetrical shapes, such as oval, drop, round, half round, heart, flat round, rectangle, square and so on. Those cabochons also come in different kind of stones, including turquoise, jade, hematite, howlite, agate, tiger eye,Brazilagate, lapis lazuli, quartz, jasper, amethyst, goldsand stones and etc. All of them are available in different colors, shapes and sizes. Natural Gemstone cabochons beads are unique gifts for the special occasion. Ordinarily they are set into metal bezels and used as brooches, pendants or focal elements in bracelets, earrings and necklaces. It is possible to incorporate these gemstones into beaded craft items by wrapping the edges of the cabochon with seed beads sewn in various patterns. This attaches the flat side of the cabochon to a sturdy backing material. You can also wrap cabochons beads by using wire. The wire-wrapping jewelry pieces are very popular today. As a jewelry designer, I am very interested in wire-wrapping jewelry too. After a long time of practicing, I am good at wire-wrapping now. If you need to wrap those cabochons beads according to their shapes, but create different styles or patterns for them. Any style and pattern will be ok, as long as you can image and create. Wire-wrapping gemstone cabochons beads jewelry pieces will be good gifts for your family members and friends to tell them how much they mean to you. Many of my designs are wire-wrapping jewelries which are very popular with my customers. In order to satisfy their different requests, I need to search different cabochons beads. 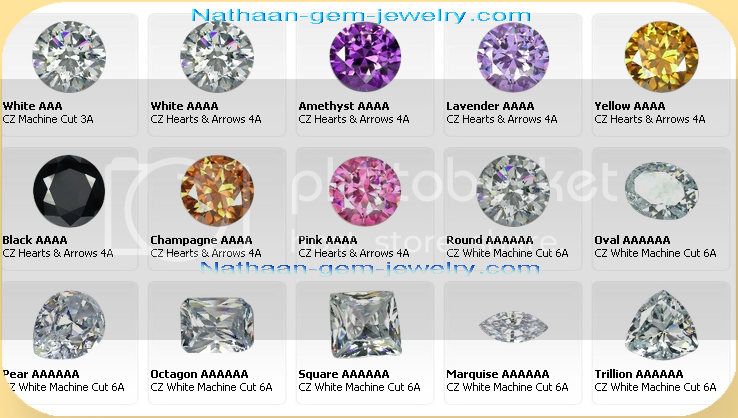 However, I don’t need to cost much time to search them, as I have found a great wholesale website—nathaan-gem-jewelry.com which can offer a variety of gemstone cabochons beads and many other cabochons. Its endless new supply is another guarantee for me and my customers. Consider the economic aspects, some jewelry makers may have some problems to keep on making jewelry designs. 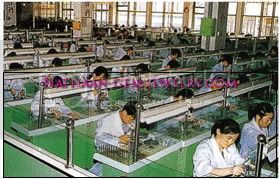 While, if you checked the items and prices on nathaan-gem-jewelry.com , you may think you have found another oasis. e Agate and Black Crazy Lace, Black Jade, Black Onyx, Bloodstone, Blue Spiderweb Turquoise, Boulder Opal Triplets, Botswana Agate, Brecciated Jasper, Bruneau Jasper, Burma Jadeite and Carnelian Agate, Cat’s Eye Tiger Eye, Charoite, Chrysocolla, Chrysoprase, Cinnabar Agate, Dendritic Agate, Dendritic Opalite, Dinosaur Bone, and Fire Jasper, Green Moss Agate, Hematite, Howlite, Alaskan Jade, Labradorite, Lavender Chalcedony, Lepidolite and Lapis, Leopardskin Jasper, Malachite, Marcasite, Mohagany Obsidian, Montana Agate, Mookite, Palomino Jasper, Parrotwing, Paua Shell – Blue, Plume Agate and Psilomelane, Rainforest Jasper, Red & Green Moss Agate, Rhodochrosite, Rhodonite, Rutilated Quartz, Sodalite, Sardonyx and Snowflake Obsidian and Spencer Opal Triplets, Sugilite, Swirled Poppy Jasper, Blue Tigereye, Golden Tigereye, Red Tigereye, Tigeriron, Tourmalated Quartz, Tree Agate, Turquoise, Unakite and Zoisite. Dyed and man made materials. Includes: Banded agate, Blue Dyed Agate, Fiber Optic, Goldstone – gold & blue, Green Dyed Agate and Southwest Style Inlay. Includes: Fischerstone (Copper In Agate), Chrysocolla – Gem Silica, Sagenite and 38×63 rectangle buckle cabochons. The word “druse” refers to a rock surface (usually a cavity) covered with tiny individual crystals, such as are found inside geodes or in large pockets of mineral deposits. Drusy is the mineralogical term for a coating of very small crystals which occurs occasionally in the natural geological environment. Beautiful and sparkling – like thousands of tiny little diamonds scattered on the surface – Druzy appears fragile, but is surprisingly tough and durable when set into a piece of jewelry. Druzy Quartz is said to aid in balancing and increasing energy. In many cultures, it has been used to diagnose disease and is believed to enhance natural extrasensory perception abilities. Quartz Drusy is natural agate with minute crystals of quartz found inside natural geodes. Our Drusy is coated withTitanium or other metallic compounds in a vacuum process which creates various iridescent colors and effects. Our range of Drusy gemstones comes in two forms; Calibrated Drusy Cabochon and Calibrated Flat Drusy. The productsare found in an eye-dazzling array of vibrant colors and combinations. As with most gemstones, Drusy should be kept away from chemicals like solvents and acids and from exposure to heat as this can cause damage or permanent changes to its appearance. As the coating is on the surface, scratching the Drusy should be avoided. 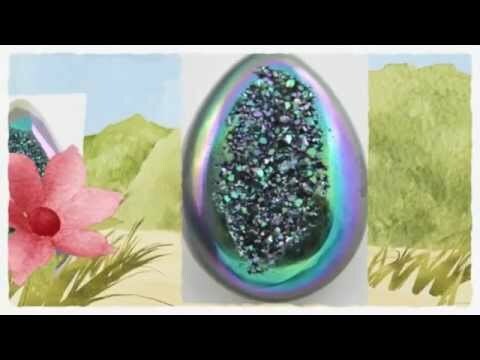 Birthstone Month: Drusy Quartz is not associated with any particular birthstone month. Zodiac: Drusy Quartz is not associated with any particular zodiac sign. Chemical Make-up: Quartz is a Silicon Dioxide. There is not 100% agreement regarding the exact origins of the name Quartz, but the two most widely accepted opinions are that the word Quartz is derived from the Greek ‘krystallos’, meaning “ice”, or the German ‘quarz’. Quartz is one of the most abundant single minerals on earth – it makes up close to 12% of the earth’s crust, and occurs in a wide variety of igneous, metamorphic and sedimentary rocks. By far the most commonly found Drusy is Quartz, though top quality Drusy’s are relatively rare, especially in non-Quartz species. Drusy Quartz can be cleaned using warm soapy water and a soft brush. As with most gemstones, Drusy Quartz should be kept away from household chemicals and from prolonged exposure to extremes of heat as this can cause damage or permanent changes to its appearance. Drusy Quartz should be kept in a fabric-lined box away from other jewelry items in order to avoid damage / scratching. Other Names it is known with: drusy, druzy, drusie, druzie, druse, druze, drusies, drusys, druzies, druzys. Talk to cutters and designers who use drusy quartz and they will tell you it has a way of taking over your creative life. Cutter Greg Genovese, based in West Cape May, New Jersey, and designer Howard Lazar in West Bloomfield, Michigan, are going through prolonged drusy phases. Indeed, Genovese’s devotion to drusy is now headed for a third decade. What is so addictive about this gem? Hundreds of other designers have also taken the drusy challenge in the last five years. Drusy is perfect for a generation of shoppers who want jewelry to be a statement of taste and an expression of individuality. Genovese and Lazar are proving that drusy can make five-figure elegance available to people on three- and low four-figure budgets. Drusy is a godsend for the consumer who wants affordable magnificence and originality. Drusy (spelled with an s and pronounced with a z) is a mineralogical term used as a noun and an adjective. The noun refers to mineral cavities lined—usually in quartz—with thin layers of tiny, tightly-packed crystals that resemble sugar granules, each of these toppings of a different fineness from coarse to powdery. The adjective refers to any such granulated crystal layers. In most cases, drusies are double-decker quartzes—quartz crystals deposited over a mineral base, or matrix, of agate like snow-capped mountains. The word drusy comes from the ancient Greek word druos for gland or bump. Drusy, like opal, can form on practically any mineral base (even, occasionally, on fossilized eggs, shells, and other objects). But the drusy used for jewelry comes from geodes in whose hollows it sometimes forms. Two or three times a year, Genovese travels to Brazil, still the number one source for this gem (although recently Indonesia has come on strong) to conduct drusy hunts. He is looking for that one-in-a-thousand geode with a drusy lining. Thankfully, geodes are plentiful. So the long odds against finding drusy geodes don’t seem so daunting—especially since non-drusy geodes have established commercial use as ornaments. Mining consists of digging pilot holes roughly 3 meters deep and 1/2 meter wide into known geode-laden grounds. If miners hit a seam, they next try to determine the size of the pocket by digging exploration holes at 400-yard intervals to the right and left. Once they’ve got a sense of the geode pocket’s size, they excavate the entire vein. To discover which geodes are hollow, and therefore drusy candidates, workers tap each one with a metal bar to hear if it’s solid or not. Those that are hollow are sawed in half to see if they are among the one in a hundred with drusy linings. Cutters reject most of the drusy-bearing geodes as unsatisfactory for jewelry. Many of these rejects make the final cuts for less demanding buyers from high-volume jewelry manufacturing centers such as China and India. Variable standards of acceptability helps to explain the vast price ranges for similar-looking drusy quartzes—anywhere from $15 to $20 to $150 to $200 per piece (and, in special cases, more than twice this upper end). When selecting drusy, it is advisable to let beauty, rather than cost, be your guide, since drusy quartzes are not bank-breakingly expensive to begin with. Lazar says he looks for at least five things when buying drusy: color, pattern, crystal quality, extent of the drusy overlay, and craftsmanship. Drusy color refers to the color of the base material, or matrix, over which the drusy topping has formed. Usually, the base color is gray or brown, but once in awhile you find luscious value-jumping shades of orange, yellow, and white. Expect to be charged more if the base is banded or spotted with colors. The cost spikes even higher if the base contains tree-like dendritic patterns. Next, evaluate the drusy lining. There is some latitude given for crystal size. Some like drusy layers to be coarse and distinctly granulated while others like them smaller, less defined, and more velvety. No matter what your preference, make sure the layer has brightness and sparkle and is evenly spread to the edges of the piece. Dull, non-reflective drusy layers are penalized. Areas of exposed matrix give buyers extra leverage with sellers. For the past decade, thanks largely to Bill Heher of Rare Earth Minerals, Trumbull, Connecticut, thin-film coated drusy with metallic colors have been more popular than untreated drusy. That is why durability of treatment is of paramount importance. 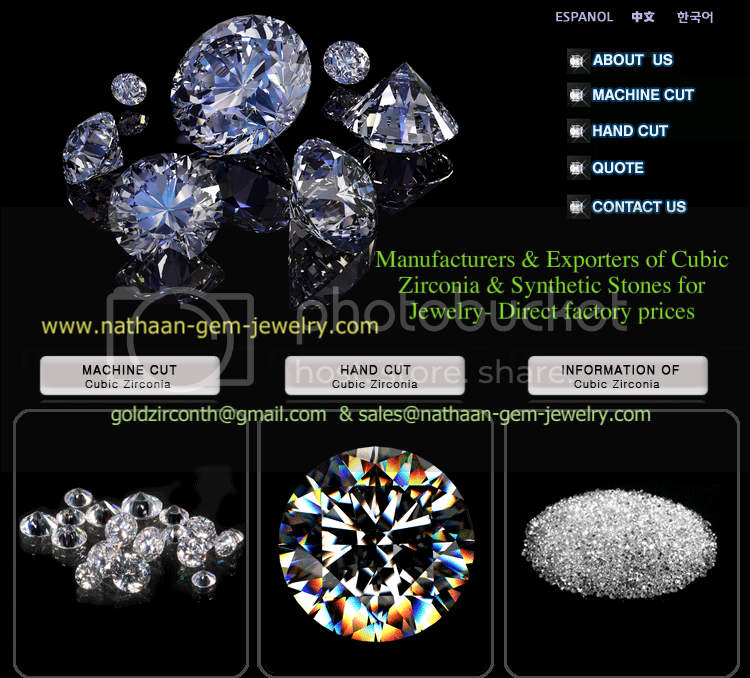 Every U.S. dealer I talked to urged jewelers to buy drusy treated by high-tech specialists nathaan-gem-jewelry. Last, examine the drusy for artistry and craftsmanship. Many are cut for weight rather than wonder. To add insult to injury, they are cut too hastily and sloppily. At first, you may not see where cutters have skimped on precision. But keep looking and you’ll begin to see the lack of detail in cheap, volume-cut drusy and you’ll be willing to pay top dollar for stones that show the attention to detail that sets apart drusy masters like Greg Genovese. Today, Quartz is not only used for gemstone purposes, but also as a raw chemical ingredient in the manufacturing of abrasives, cements, concrete, porcelain, glass, and many other industrial materials.Because of its piezoelectric and pyroelectric properties, Quartz is commonly used in the production of watches, clocks, computers, and radios. Please add goldzircon@yahoo.com to your address book to ensure our emails reach your inbox.